Redistribution details: In 2016, the redistribution Sydney lost Balmain, Rozelle and Birchgrove to Grayndler but gained Darlinghurst, Potts Point and Woolloomooloo. 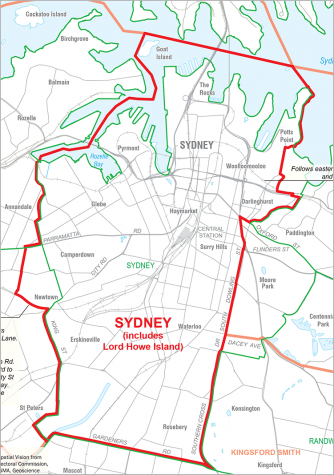 The electorate also includes Lord Howe Island and Goat Island. 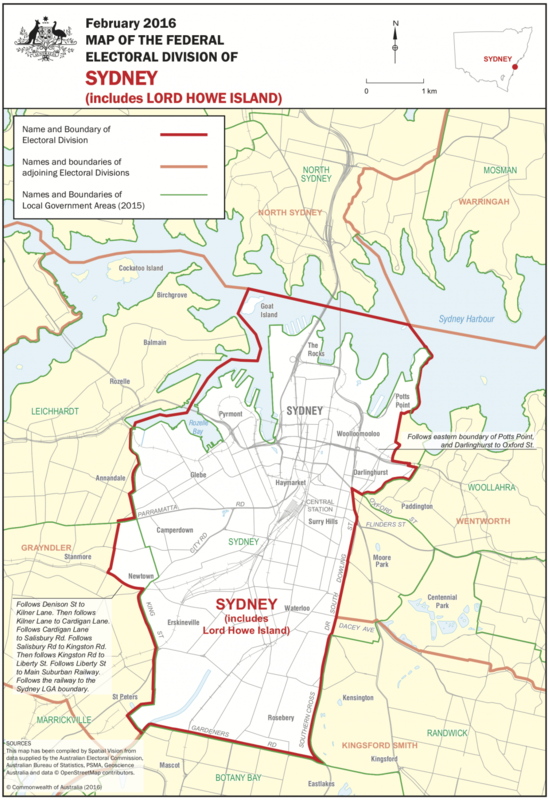 Key Comments: Sydney is a safe Labor seat held by Labor since its creation in 1968/69. Its population is young, diverse, educated and progressive concerned with women’s issues, climate change and gender and human rights. Only Pyrmont, Millers Point and St Vincent’s Hospital polling stations voted for the Liberal candidate in 2016. The Greens are a potential threat but the seat is unlikely to vote out its high profile Labor deputy Leader. First elected in 1998, Tanya Plibersek has won the past 5 elections by an average margin of 33.18 two party preferred.